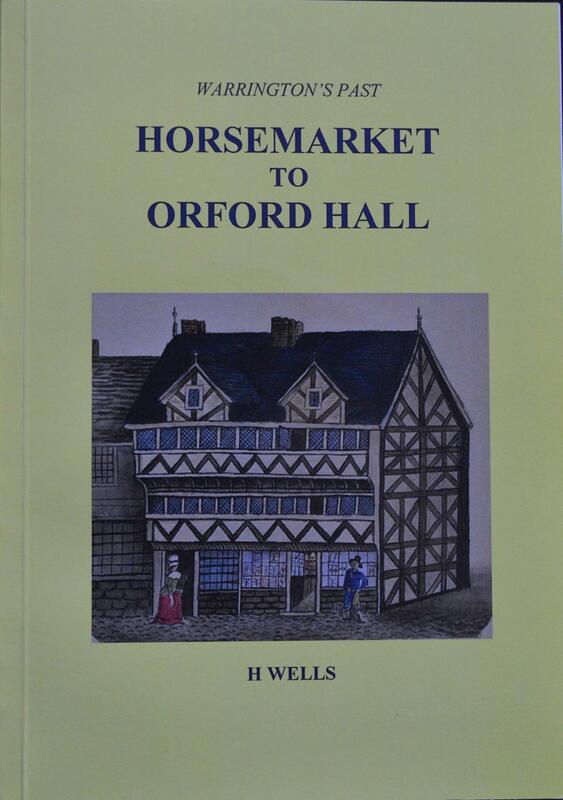 It is just before 11am and the number 2 Orford bus is about to depart from its stop outside the Lower Angel. It will head off down Battersby Lane and terminate at Fisher Avenue. Monday 21 August 1972. Looking up the street through the lens of the same camera in 2012. There are no buses now and the exact angle of the earlier shot is obscured by the presence of six large skittles! 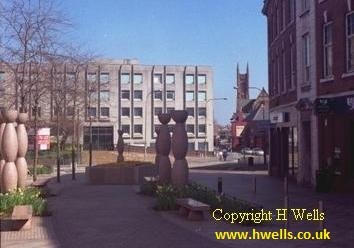 Looking across from Bank Street towards the former Pelican, Buttermarket Street. 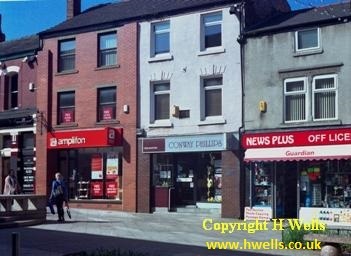 The rather forbidding sixties block on the right replaced the Empire cinema, which in turn replaced a Georgian house, once the residence of Dr Taylor. 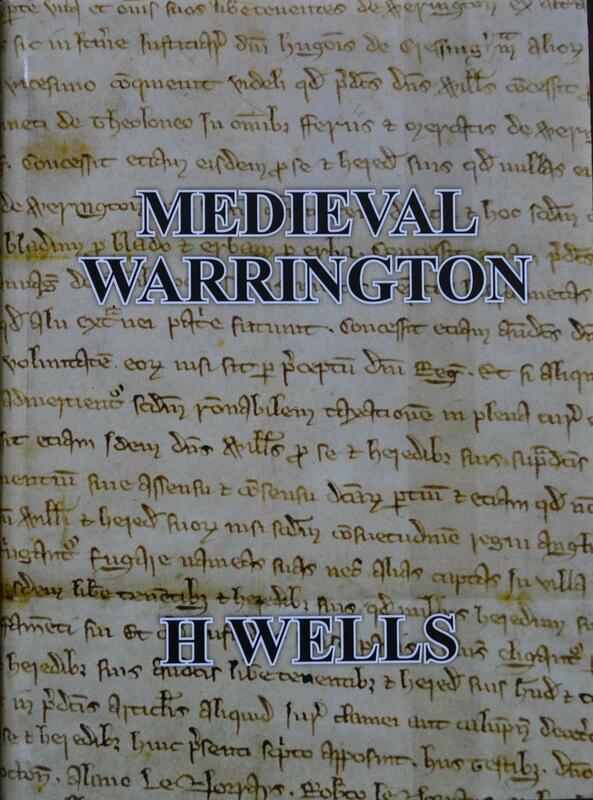 tutor at the Warrington Academy. 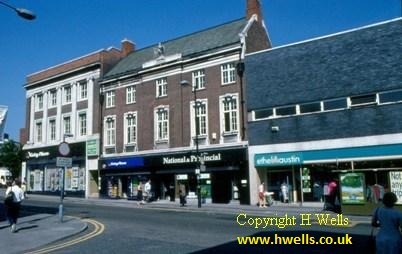 Looking down Bank Street in 2003 towards the TSB bank. 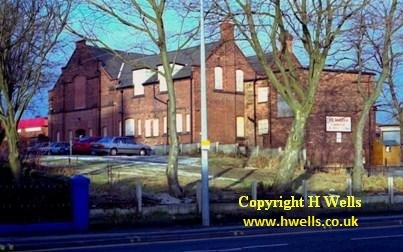 These pleasant buildings have now been cleared away for a new development. 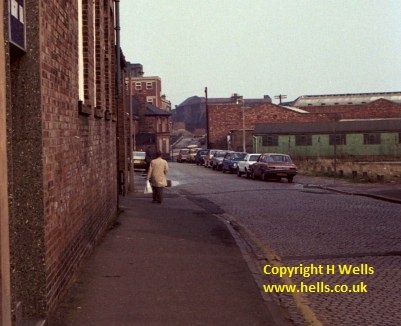 Looking down Bank Street on a Sunday morning early in 1980. 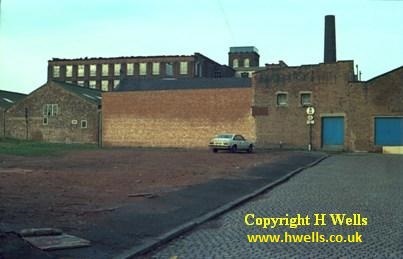 The only building in this view which remains is the market hall, which is itself due to disappear. 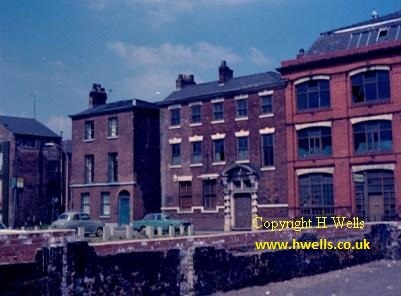 Old warehouse and office on the dogleg of Bank Street. 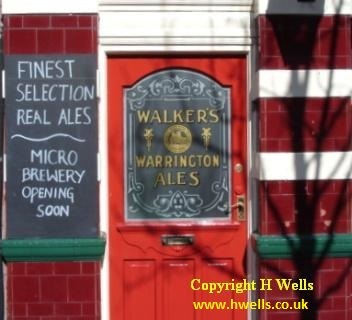 Formerly part of a maltings, it bears the date 1819. The eighteenth century premises of Conway Phillips are now the oldest in the upper part of the street. 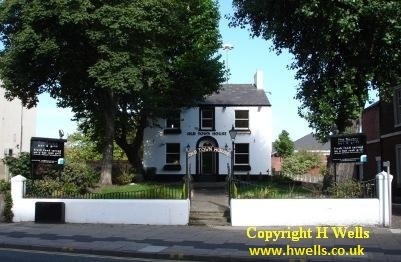 The Lower Angel, listed Grade II, externally in fine condition. The Higher Angel was next door on the left. 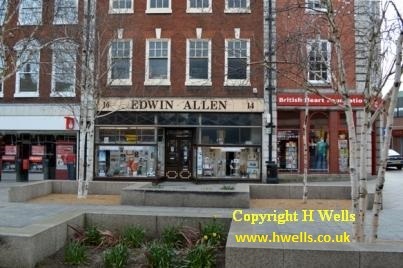 Edwin Allen's old-established shop in March 2013. 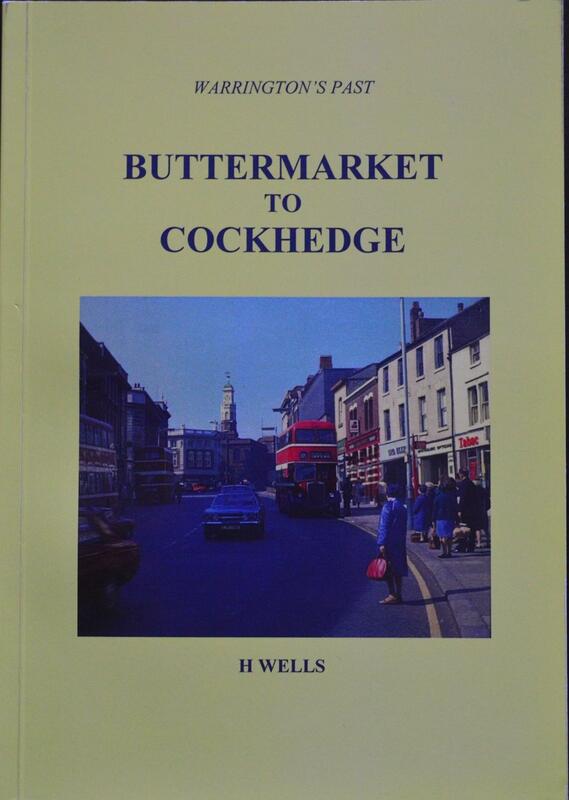 Latterly specialising in arts and crafts, the shop once supplied decorating materials. If my father wanted glass and putty to replace a window this is where he came. There is now a chemist's shop here. 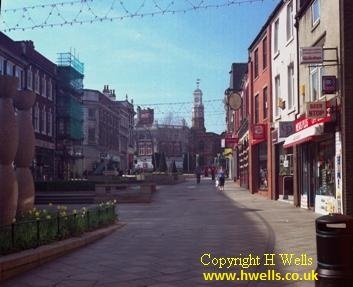 Looking down Buttermarket Street before it was pedestrianised on an August Thursday in 1994. 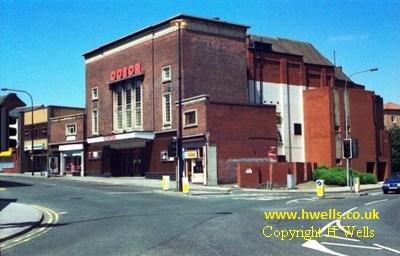 The Odeon in August 1994. In a little over three weeks it was to close. 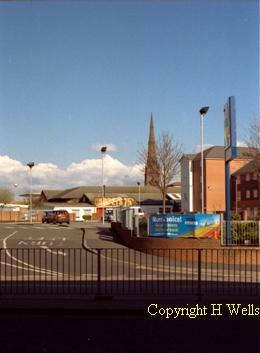 Looking at the cinema fro the other side in June 1993. 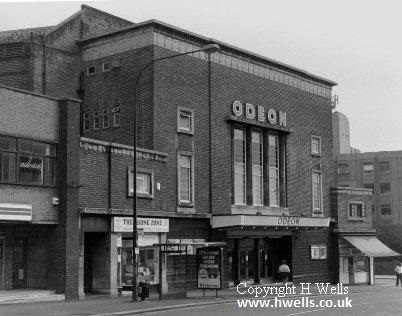 The Odeon was demolished for the Looking Glass, seen here from a similar viewpoint in 2009. 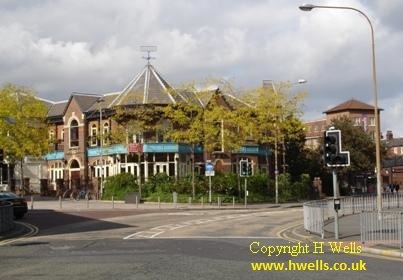 On the other corner of Scotland Road stood the old Britannia, which was removed for road widening. 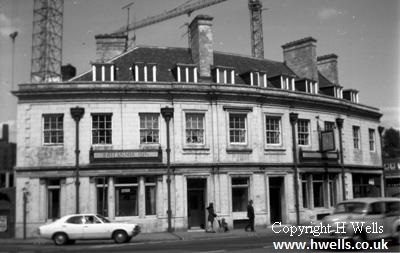 The cranes seen above the roof are busy constructing New Town House which would include a short lived replacement Britannia. Taken with a box camera in July 1974. 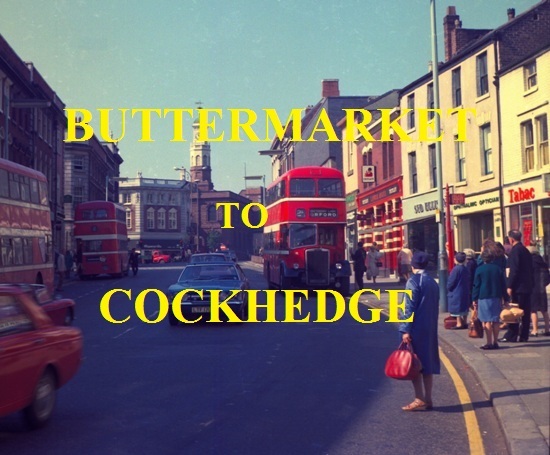 Looking down Buttermarket Street towards the Britannia in August 1972. From a similar viewpoint on a Sunday in March 2012. No buses now, but we have skittles! 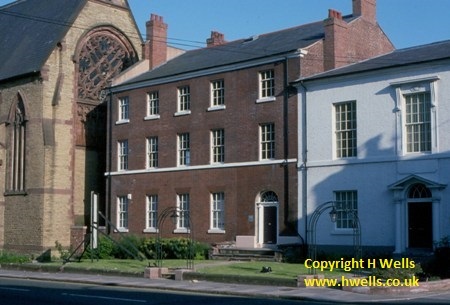 Academy Street, with the Grade II listed Joseph Priestley's house in the centre, in 1972. 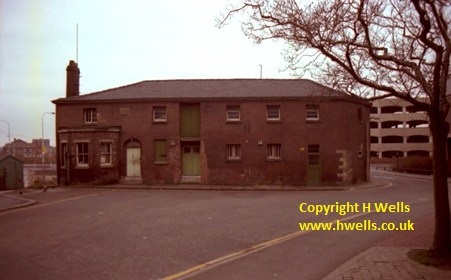 The house was removed in 1977 and the site became the entrance to a supermarket car park. Salvation Army Citadel and next door the former meeting place of the Ancient Order of Foresters. 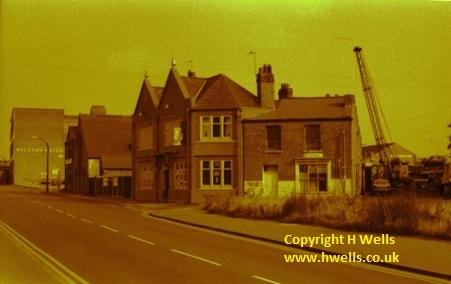 The photo was taken from the gateway next to the Britannia Inn. 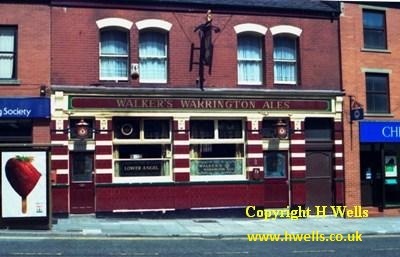 September 1975. The corner of Academy Street is on the right. 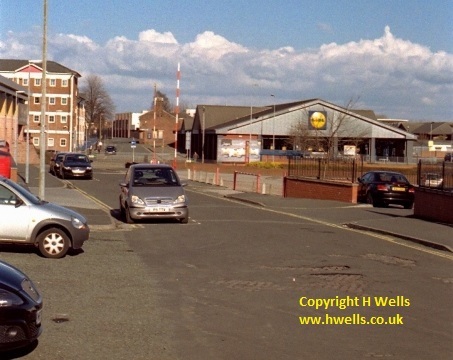 The same junction less than five years later when Academy Street had been widened and improved fror the new Academy Way. 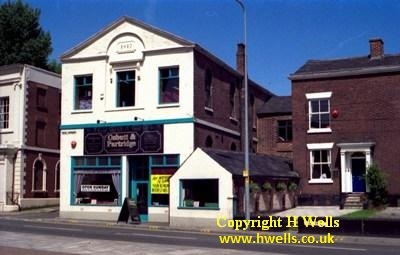 Porters, formerly the Cross Keys, was earlier known as the Nelson. 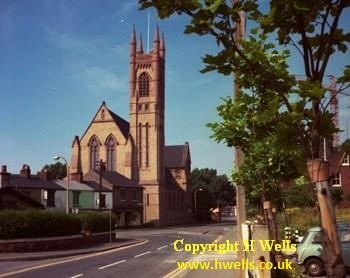 The building in the centre was St Mary's Priory. The edge of the older bay which includes the doorway can be seen in the plinth and all the way up the brickwork. 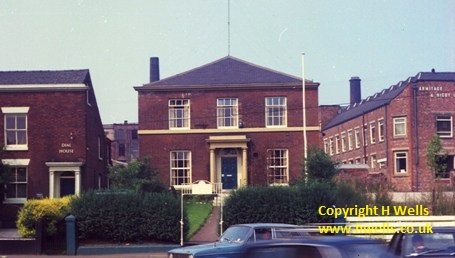 This nicely proportioned building was PW Creamer's insurance offices, built in the early 1970s on the site of the old Georgian building which was once the Aikin house. 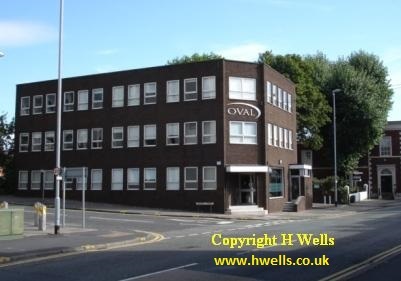 Later it became Oval Insurance but is now closed and stands empty. 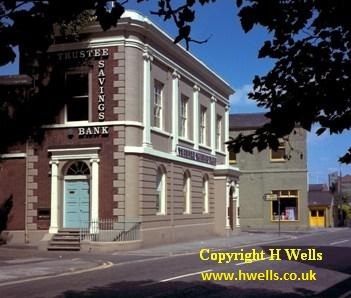 Head Office of the Warrington and District Trustees Savings bank, seen in 1975. 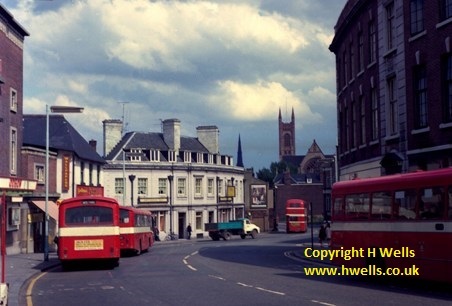 This view down Naylor Street towards St Mary's, taken in 1976, could be almost replicated today. 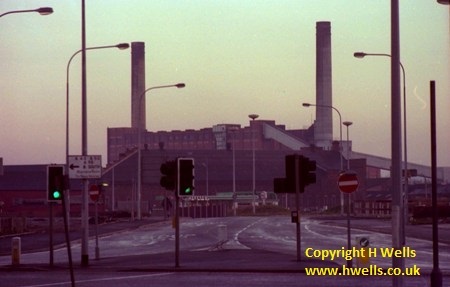 just the power station chimney and the Mersey Street flats have gone. 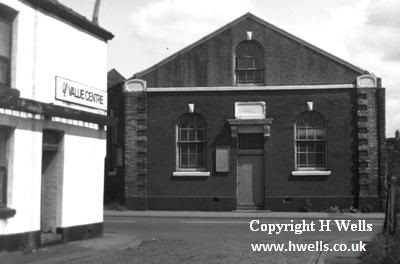 The old Ebenezer Chapel and Sunday School. 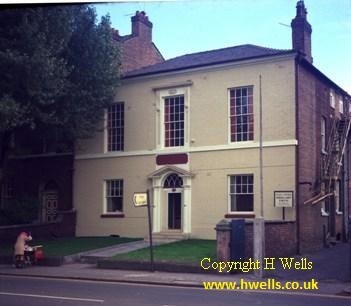 The Conservative Club in Dial Street, thought by Arthur Bennet to have been the home of the future Mrs Barbauld. 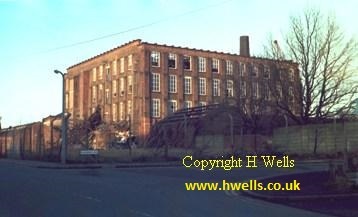 This earlier view of Vigo House, taken in 1973, shows the old Cockhedge Mill of Armitage and Rigby. 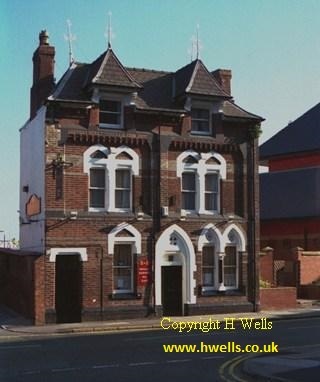 Next to Vigo House was St Mary's social club, the Ashton Hall. At Christmas 2000. The club has been replaced with a pleasant residential dvelopment. 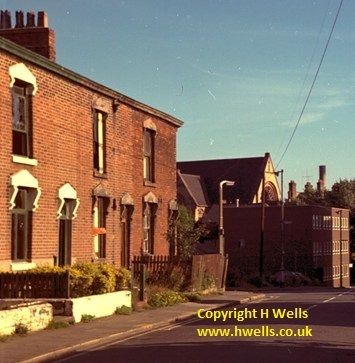 Looking along Dial Street in July 1975. 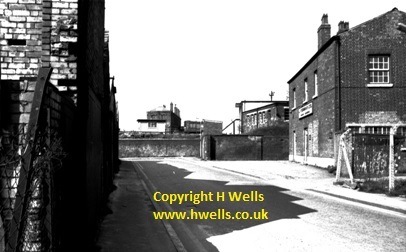 The public toilets on the left stood on the site of the old bridewell. 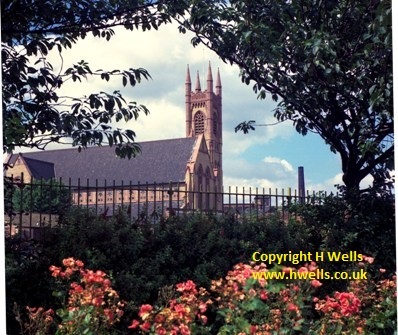 St Mary's from Mersey Street in 1972. 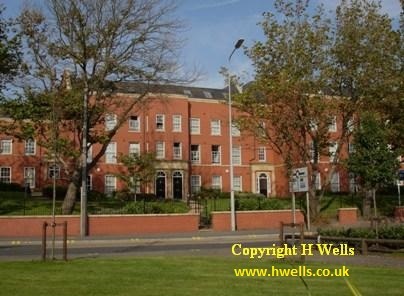 This view is not possible now as a residential block has been erected on the former school grounds beyond the railings. 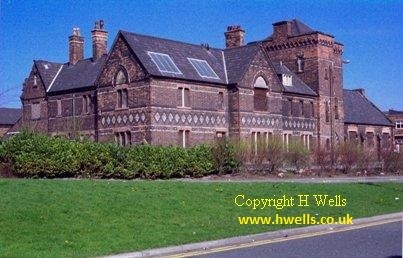 The old Boteler Grammar School, established on this site in the sixteenth century, but now demolished as the building was no longer required and the far right corner was required for the entrance road to a new estate. The site in March 2012 after demolition of the entire building. Window in the old Boteler Grammar School. The stone, from an earlier building erected under headmaster Shaw, reads 1688 Samuel Shaw AM. 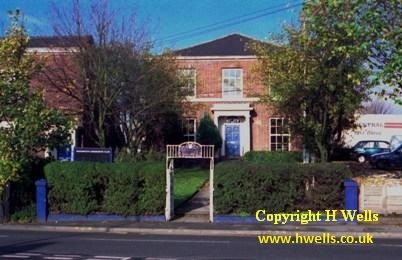 There are now no stones or plaques to mark the site of this ancient school founded by Sir Thomas Boteler's will of 1526. 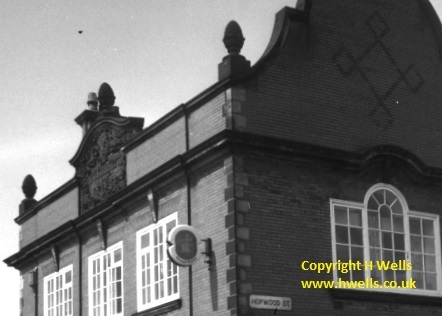 The Brickmakers Arms in 1974 showing the elaborate terracotta plaque on the School Brow frontage. This has now been removed. 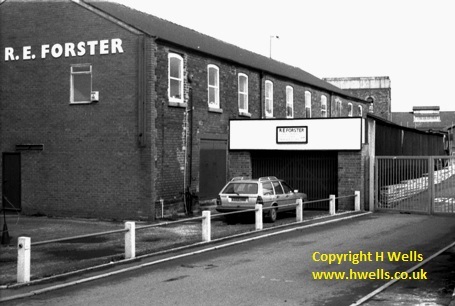 The old established firm of RE Forster converted a row of terraced houses in Grey Street for their new workshops. This was recently demolished. 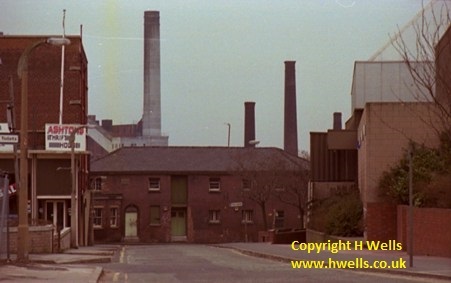 The water tower visible at the back is part of Rylands Dalton Bank works. Photo taken 1985. 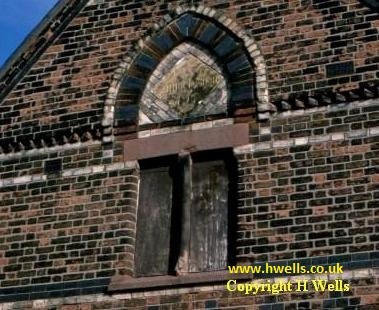 Brick Street Methodist Church, latterly the Wings Club. 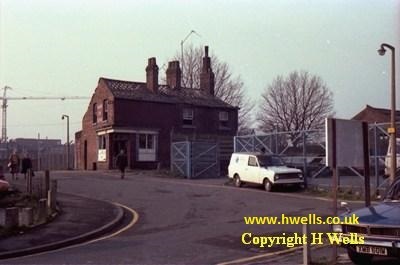 Demolished in 1986 for road improvements involving the Cockhedge roundabout. 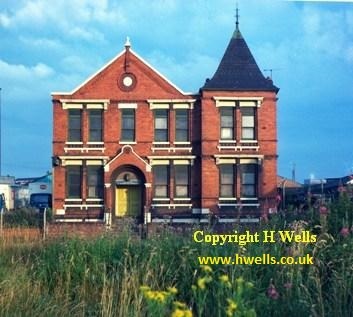 Friars Green Sunday School, Brick Street, in July 1974. The site is now a dual carriageway leading to Cockhedge roundabout. 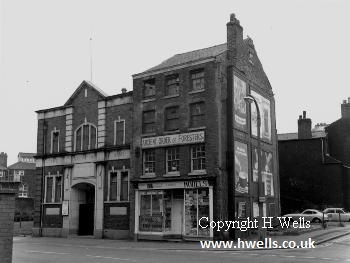 Glassmakers Arms and St George's Mission, Brick Street, in 1985. Demolished for the Cockhedge roundabout. 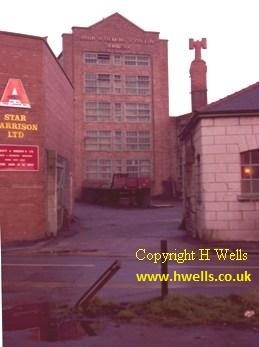 Entrance to what was Flemings tannery, early 1980. 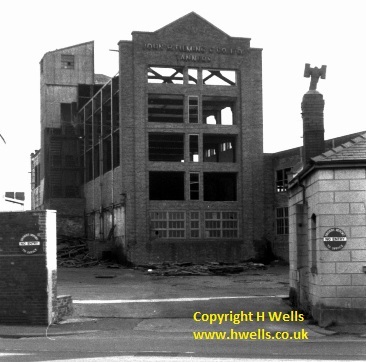 The tannery was demolished in 1984. The site was cleared for a new supermarket. Similar view, looking across Fennel Street in March 2012. 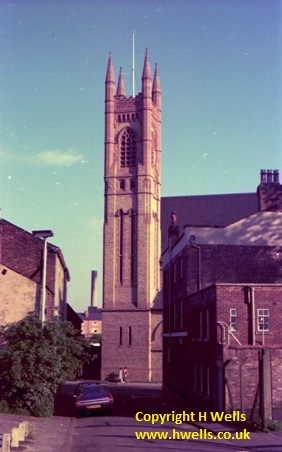 The church spire is now visible. Similar view from a few yards lower down Cockhedge Lane in March 2012. The granite setts of the roadway are still visible in places. 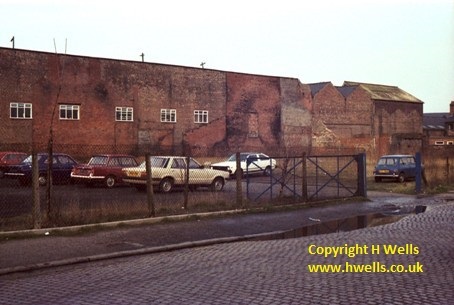 In 1980 the outlines of vanished terraced houses can be seen on the brickwork of Cockhedge Mill. Demolition of the weaving sheds has begun. The steel arches of the weaving sheds can now be seen. 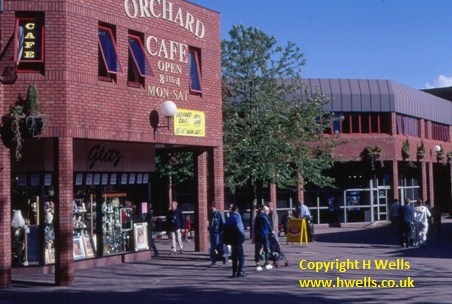 Some of these were reused in the new Cockhedge Mall. 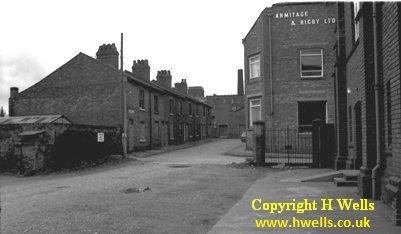 The double bend on Cockhedge Lane in 1977 with the corner of Armitage and Rigby's and on the right part of St Mary's club. Everything in this view has now disappeared. Late 1983. 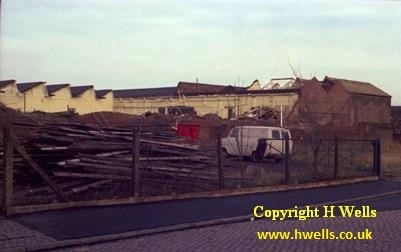 The houses have now been demolished. 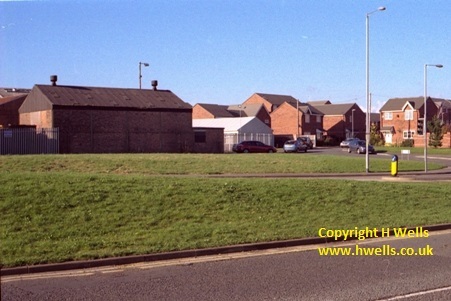 The highest point of Cockhedge Lane was reached here, just before the junction with Orford Street. A side entrance to Cockhedge car park is now here. Photo taken in 1980. 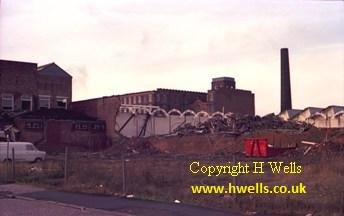 The remaining section of Cockhedge mill, spinning department early in 1984, seen from Orford Street. 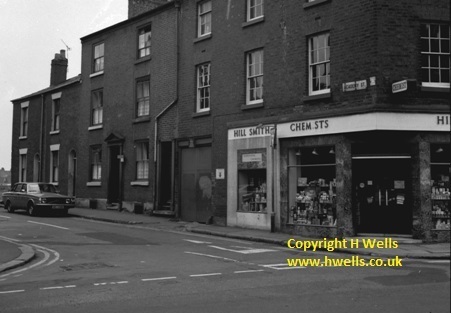 Orford Street looking towards Crown Street, 1977. 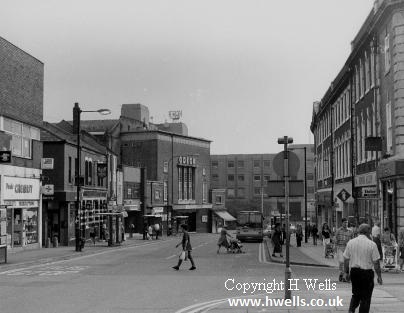 Looking the other way down Orford Street towards Buttermarket, 1975.